Uncertainty. For some, it’s a frightening state of existence. But for Hank Phillippi Ryan, it’s the force that drives her writing. For this interview, the veteran TV reporter and acclaimed thriller writer talked about the story behind her latest release, her dual careers, and that state of suspense she’s learned to embrace. In addition to writing, Ryan is on the road almost constantly. In between writing and promoting, however, she finds time for another love, efforts to improve literacy. She said, “I am incredibly grateful that my parents bombarded me with books and let me go to the library and let me sit by myself up in the hayloft and read. Now, she describes helping others as one of the joys of her life. 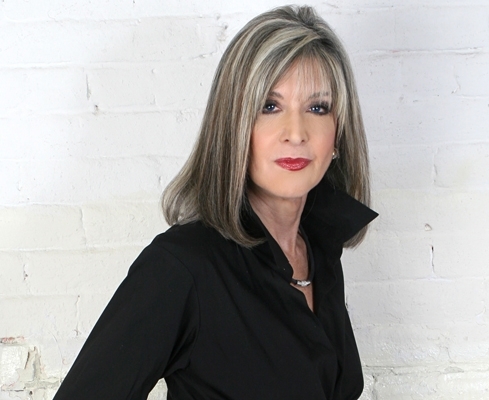 Learn more about Hank Phillippi Ryan and her writing on hankphillippiryan.com. Thank you, would love to win it.. I am assuming this is where I comment on winning a copy of the book Truth Be Told…..Would love to win it..
Have fun at your launch today – I am on the opposite coast, but will look for a copy of your latest to read. This book sounds so great! Can’t wait to read. Thanks for a chance to win. “Do what you love and love what you do” could be Hank’s motto. I’m grateful for her dedication. I’m glad everyone is enjoying this interview. I’ll be posting a review of Truth Be Told tomorrow! Thank you for giving us another fabulous story to anticipate. It’s facinating to hear about the process. I would imagine that having a story develop as it’s written can be exhilarating, scary, but exciting. It must keep the process fresh for you. Thank you for sharing. ANOTHER GREAT INTERVIEW! THANKS FOR THE GIVEAWAY! YOu know, the days before a book launch are very stressful..but you all are making it wonderful! Thank you! Sally Cootie! That is SO exciting..I am truly looking forward to it. Writers are very special people and share so much with their readers. Your awards are amazing. I am totally impressed by your reasoning. Terrific interview. I’m always interested in the writing process. I can barely write a letter and make it interesting. But, I do love reading great books. Well, I don’t think I can make it to Boston, but I am going to try to see you in Oakland, CA next Sunday. I enjoyed reading this informative interview and look forward to reading more of Hank’s books. I enjoyed the post. It’s particularly nice to hear about your efforts to promote literacy. I’m looking forward to reading Jane’s newest adventure! It is so true. In real life, we never who are our friends really are until that moment when we really know who are our true friends are. Thank you,all! I am reading thesewith great delight. Do come follow me on Facebook, okay? 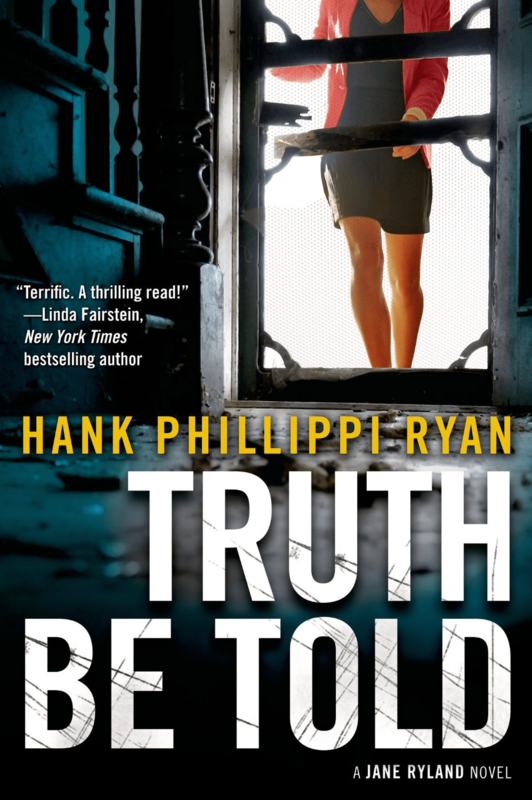 At Hank Phillippi Ryan Author Page. Lots of fun giveaways and contests..love to see you there! I can’t believe how hectic your life and work is. I’m impressed. Your article made me tired. Fact is sometimes really stranger than fiction, but sometimes presenting it as fiction is the only way to get it out to the public. Oh, Michael, Robbie, Deb, and Margie, thanks for the compliments! Very interesting post! I would love to read this book. On your toes and never a dull moment and you are a beautiful woman . I think it is great not sure where you have time for the hubby part but so glad that he is supportive of you i’m sure so proud also. This was a great interview . From a PR and Marketing perspective I can say well done. Engaging your audience while promoting both the blogs and the books. Smart and savvy – just like both of you. ONE CAREER HELPS THE OTHER. ENTERTAINMENT AND MAKING PEOPLE THINK IS TRICKY BUT RYAN IS VERY GOOD AT THAT. Interesting that she didn’t know who the bad guys were, 60000 words into the book. I’m sure this will make exciting reading since the ending won’t be obvious. Very interesting interview–I think it should help me understand the book just a little better. Hi, Sue! So nice to meet you! And yes, I love to do interviews like this –and read about other authors, too. It really changes how I feel about their books! BArbara and MArk, yes, indeed! There’s always a story idea somewhere–a plot, a character, a motivation. I’m so fortunate that my job puts me in the midst of those every day! Thank you, Sally Cootie and Mary! So lovely of you! Interesting interview. The writer became a real person. Nice to get more background information about her characters. These dual careers definitely seem to be working for you. Great background for crime fiction. I’ve met Hank, and she’s a marvelous person … Congrats to her on both her careers. I love Hanks books. Would love to win this one. Hank is so full of energy. I enjoy following her reporting as well as her fiction. Can’t wait for “Truth to be Told” and to hear her speak at Bouchercon.